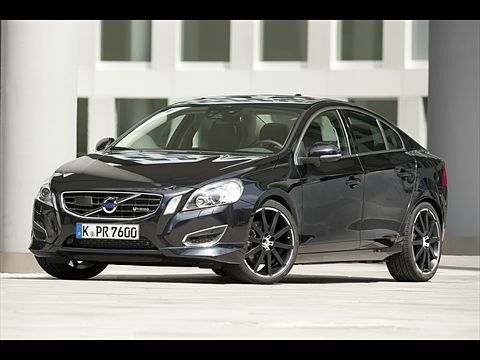 Cologne - A spectacular and attractive Volvo sedan: The Volvo S60 T6 Design by Heico Sportiv. The sedan powers up to 330 hp (243 kW) with only 100 models exclusively available as special editions in Sapphire Black metallic paint. The retail price is set to €63968.00 (including 19% VAT). 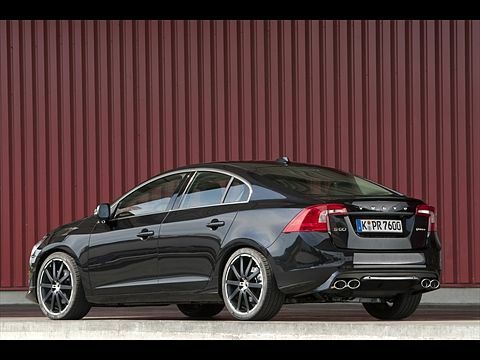 This spectacular four-door Volvo S60 has been in collaboration with the tuning specialist Heico Sportiv. Heico has more than 20 years experience in the refinement and performance of exclusive Volvo models, and has been an official partner of Volvo Car Germany GmbH since 2008. Besides the impressive engine power and the sporty driving qualities the Edition model also attracts with its numerous exclusive features to the exterior and the interior. 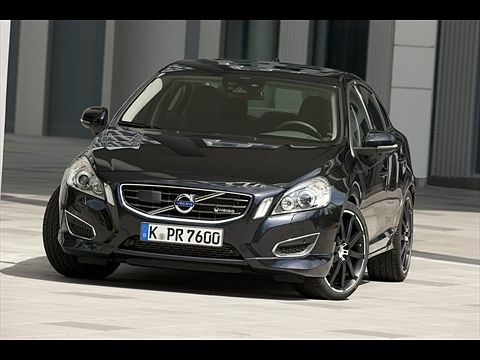 The Volvo S60 T6 Design by Heico Sportiv is based on the standard model of the new sedan and has a revised six-cylinder turbo petrol engine under the hood, which performs 26 hp more and therefore 330 hp (243 kW) with a 20Nm increase maximal of torque of 460 Nm in the speed range of 2100-4500 in one minute. The increase by Heico Sportiv to 330 hp (243 kW) is a result of Heico Sportiv e.motion. Heico Sportiv e.motion stands for "efficiency in motion" and describes an additional engine control unit including a revised engine management system. The Volvo S60 T6 Heico Sportiv Design sprints in 5.8 seconds from 0 to 100 km /h and reaches a top speed of 250 km /h (electronically controlled). The average consumption is 10.3 litres per 100 kilometres, which corresponds to CO2 emissions of 239 g/km (provisional figures). For perfect traction on any terrain, the high-performance sedan is fitted with standard permanent All Wheel Drive AWD. As Power Transmission it has an adaptive six-speed automatic transmission with a Geartonic function (manumatic transmission). 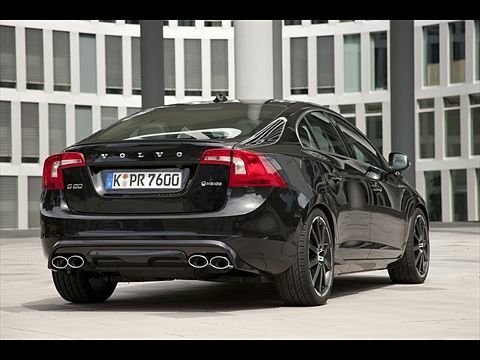 The Volvo S60 T6 Heico Sportiv Design meets the Euro 5 standards. 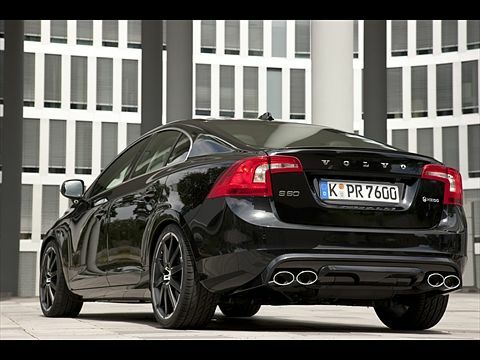 In addition, the Volvo S60 T6 by Heico Sportiv Design is equipped with a body kit. This includes a two-part front spoiler that is mounted on the original bumper and fits seamlessly onto the sporty and elegant image. It is manufactured with lightweight and flexible polyurethane plastic (PUR-R-RIM) and meets the latest pedestrian protection regulations. The rear bumper diffuser-look is also made from flexible PUR- R-RIM and accurately covers the left and right, with oval tailpipes arranged as four-pipe sports exhaust system. In addition, the rear apron has a carbon fibre inlay. The dynamic driving characteristics are supported by sport springs connected to the Four-C chassis with a lowering of 30 mm. The package is complete with 19-inch Diamond-cut set wheels in matt black paint with Pirelli tires in the size 245/35 R19 wheels and a set of Pirelli winter tires. 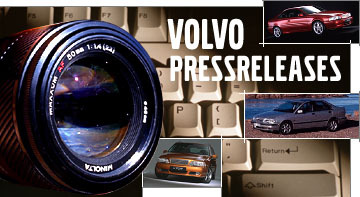 The Volvo S60 T6 Design by Heico Sportiv is based on the largest Volvo equipment range Summum, to which all of Volvo Cars' usual safety systems have been added - including automatic air conditioning with separate temperature controls for driver and front passenger, a high-quality audio package, electric windows all round, cruise control , a multifunction leather steering wheel, electric, foldable mirrors, a rain sensor, leather upholstery and dual-xenon headlights with dynamic cornering lights. In addition the Xenium, vehicle dynamics and driver assistance package are also included in this exclusive sedan. 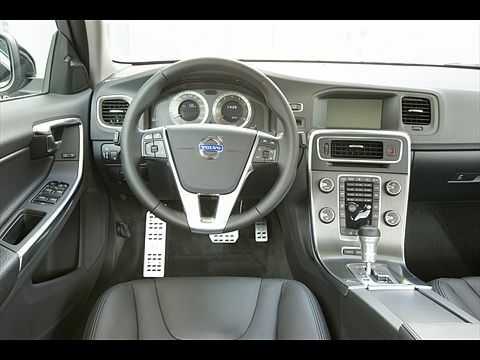 The equipment is extended by the following features: electrically adjustable and heated front seats, a parking aid front and rear, rear view camera, an electric glass sunroof, an RTI navigation system, suspension with Four C-technique, speed-sensitive power steering system Driver Alert to warn of fatigue and unintentional lane departure, the Blind Spot Information System (BLIS) to monitor the blind spot and as a world first for the Volvo S60, pedestrian detection with automatic braking in combination with the active speed and distance control system has been introduced. The exclusive interior details with the Heico Sportiv logo includes an aluminium shifter, an aluminium footrest, an aluminium pedal set and an aluminium "limited edition" plate with a particular production number.